Honeyminer is a simple, one click mining software that let’s you earn Bitcoin with a laptop, computer, or mining rig. Out of the box, Honeyminer is optimized for profitability, so any further tweaking described is at your own risk. I have seen people with the exact same setup as me making less money, so making these slight tweaks can be really helpful. With a few adjustments you can increase your hashrate, lower your card temperatures, lower your electrical usage, and increase profitability! Though this content is published to the Honeyminer medium publication, it is not directly endorsed as safe practice. Follow at your own risk. 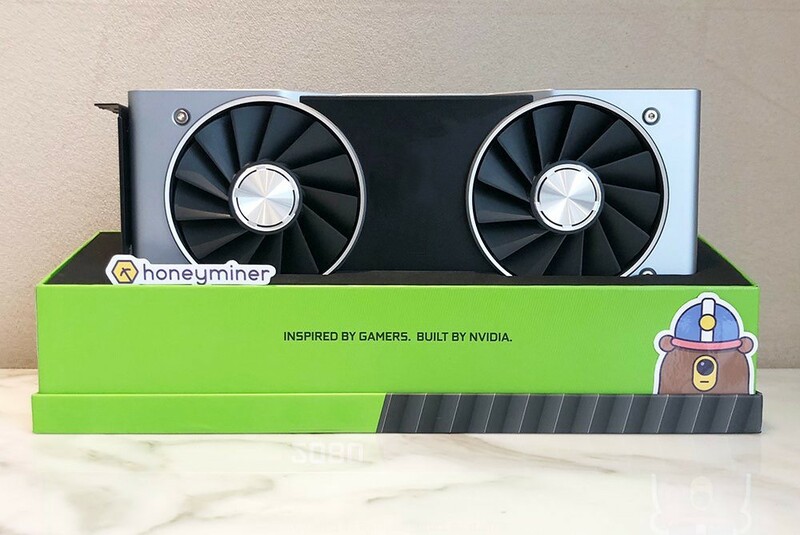 Honeyminer is not liable for any damaged GPUs or issues that come up as a result of this optimization. All GPUs will react to settings in their own way. No two cards, even of the same make and model, will be exactly the same. I recommend starting at about 50% of the values listed below for overclocking and increase them in 5% increments until you find a comfortable level for your cards to operate at. If your cards become unstable just roll back to the last incremental increase. MSI Afterburner is my recommended hardware monitoring/overclocking tool for Honeyminer. You can download it HERE. First, I will cover the OC settings. Then, I will optimze GPU Fan Settings to keep your cards cool. Finally, I will be applying aftermarket Thermal Paste to reduce temperatures. Honeyminer does some card optimization out of the box and is designed to put less pressure on cards to maintain hardware health over long term usage. This is important to know because some OC settings that will work on other miners or mining other coins directly will not work with Honeyminer. The settings below are what I run these specific cards at for Honeyminer, and have been stable for me since the beta launch almost 4 months ago. Also, note that on Windows the card your display is hooked up to (Your Primary Card or GPU-0) will need to have a lower OC than any secondary cards. This is because the primary GPU is being utilized to run the display as well and you have to take into account that usage. I tend to stay on the safe side with OC settings on primary cards for this reason. To start, you will need to 1. open MSI afterburner and 2. go to settings and uncheck the “synchronize settings for similar graphics processors” so that your secondary cards can be optimized separately from your primary GPU. Uncheck the synchronize box in MSI Afterburner settings. You will want to click the ✔ on the MSI interface to apply the setting for each card. Also note that the power limit and temp limit are the same for both cards. The core and memory clocks will be higher on the secondary cards. Confirm each change by clicking the check mark on the MSI interface. Here is a quick note on mining ETHash and page file size. Some coins require you to increase your virtual memory size in Windows 10 to address the need for large Directed Acyclic Graph. ETHash PoW is memory hard, meaning that calculating the PoW requires choosing subsets of a fixed resource dependent on the nonce and block header. This resource is called a DAG and is a few gigabytes in size. (You can learn more about DAG HERE) As a rule of thumb you will want to have at least 3GB of virtual memory for each GPU on your rig. For more detailed information on adjusting your virtual memory take a look at the information linked at GPU Mining Research. Now that your cards are hashing like champions, let’s talk about keeping them cool to protect them from long term wear. First and foremost, make sure your cards have ample airflow. I recommend getting some 140mm case fans to blow outside air across your GPUs. The heat from the cards will rise and escape them fast as long as you have new cooler air flowing in on them. That is more related to rig building than tweaking the settings though. As for settings, MSI Afterburner has the ability to adjust the fan speed scaling at specific temperatures. This means that when the internal temperature of your card is at a certain temperature you can force the built in cooling fans to run at a specific percentage of their maximum RPMs. With proper scaling you can run your fans at slower speeds, using less electricity and reducing the wear on them, which will increase their lifespan, while also maintaining low temps. In your MSI Afterburner settings you will see a tab labeled “fan” and enable user defined software automatic fan control. I recommend using the below screenshot settings. This keeps the card at about a 1:1 ratios of GPU temp and fan percentage. This means that if the card is running at 63C the fans are turning at 63% of their max RPMs. With these settings my cards neÍver get hotter than 70C, and the fans never run at full RPMs. GPU manufacturers mass produce these cards and with any mass production process there are acceptable levels of quality variance. One of the main issues I have seen on many cards, from a wide variety of manufacturers, is the over application of thermal paste, or using poor quality thermal paste. ***The below is only for users who are confident in disassembling their cards’ coolers and is intended for advanced users. THIS MAY ALSO VOID THE WARRANTY ON YOUR CARDS. To reapply thermal paste, I recommend looking up a video on YouTube on how to disassemble and clean your specific cards. Once disassemble you will be able to see where the thermal paste was applied. I have almost never opened up a card and not seen an over application of thermal paste. I think most card manufacturers over apply the thermal paste to be on the safe side. Also, from my experience, they tend to use a lower grade paste than you can buy aftermarket. I normally use Arctic Silver 5 for my GPUs. After replacing the thermal paste on my GPUs, I see an average of 5C-7C decrease in temperature and would recommend it to any advance hardware users. Hopefully the above information gets you mining at your maximum potential! P.S. If you enjoyed the article, give it a clap — it’s good karma.